12V DC, 15 GPM heavy duty, cast-iron, rotary vane fuel transfer pump. 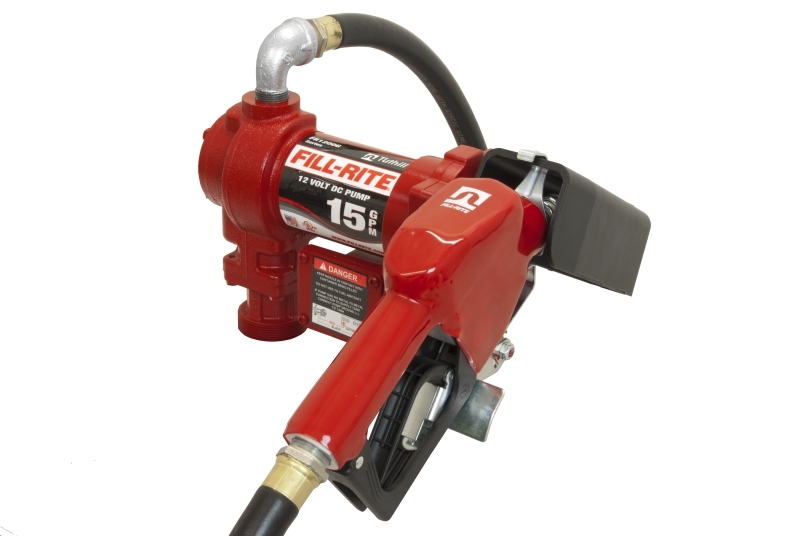 Designed for gasoline, diesel, biodiesel up to B20, E15, kerosene and mineral spirits. 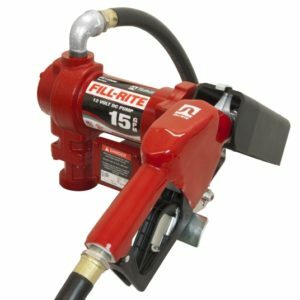 Includes pump, ¾” automatic nozzle, ¾” x 12” hose with static ground wire, 18’ battery cable, and 20”-34” steel telescoping suction pipe. UL/cUL, ATEX, CE motor. Two-year warranty. Made in USA.